The durable plastic tank is made from rugged chemical resistant polyethylene for years of trouble-free operation.Equipped with an adjustable fabric strap, comfortable for hang machine on shoulder. Equipped with a flexible hose with a directing handle on the nozzle lets you spray into hard to reach areas such as between kitchen cabinets, under carpets, above ceilings, and even into ducts. 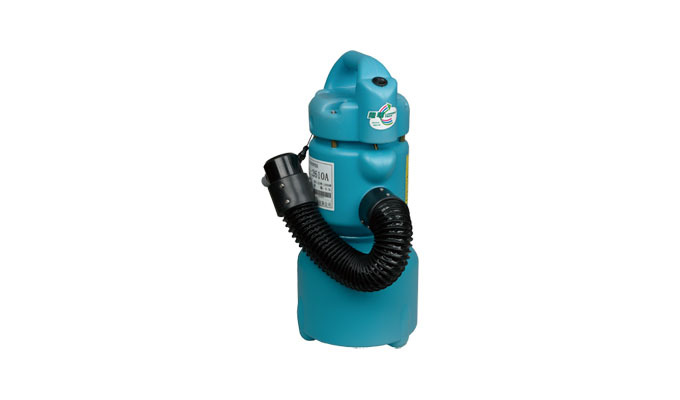 Equipped with an infinitely adjustable flow regulator can get required flow rate and fog droplet size.To further assist, the 2610 can appropriately set the automatic spraying operation through a simple external plug-in timer.